Ilayathalapathy Vijay’s Theri has created a new record for non-Rajini Tamil films in USA. 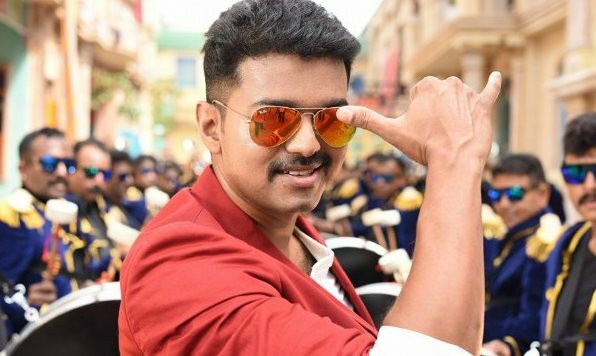 After a long wait as Theri finally releases, the audience in USA have lapped it up big time! Yes, the film has made record collections of $251,123 for the premieres in North America and Canada(approx 1.5cr). Till now among Tamil films, only Rajinikanth’s Endhiran and Lingaa have crossed $250k mark in the premiere opening. This has been Vijay’s most awaited film till date and has proved to be a pakka commercial film which is being received very well by the audiences, especially they are looking at this as the perfect gift for this Tamil New Year. Interesting fact is that Theri has surpassed the life time US box office collection of Vijay’s previous film Puli with its premiere opening itself. Also, early estimates from Tamil Nadu trade indicate that Theri is the best day one opening in Ilayathalapathy’s career and if Chengalpattu theaters have screened the film with early morning shows, the film would have created a new record. CineGalaxy Inc., the prime distributors of Indian cinema overseas has given the film a grand release and the weekend ahead is just going to soar! CineGalaxy Inc., which has earlier associated with super hit Telugu films like Manam, Bhale Bhale Magadivoi and Nannaku Prematho among several others, is glad to be associating with Theri. Also, the distribution company is excited about their upcoming summer releases Suriya and Samantha-starrer “24” and Rajinikanth’s “Kabali”. Stay tuned to Kollyinsider for updates.